At Hopping Mad Designs, we look after web design & graphic design projects for clients across every imaginable industry and have been doing so for over 17 years. We can handle any design project of any size. Our design & development team have the experience and expertise to design conversion focused, responsive, mobile friendly websites powered by open source WordPress, Joomla & Magento (CMS) content management systems. We help you with all your SEO, social media & digital marketing needs to ensure your business is ahead of your competitors. 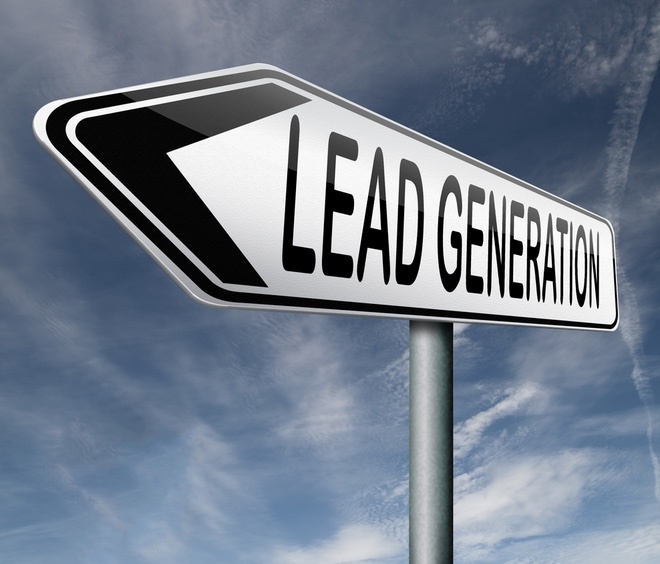 We know how to rank your website on page 1 of Google and bring in enormous amounts of quality sales leads & inquiries. 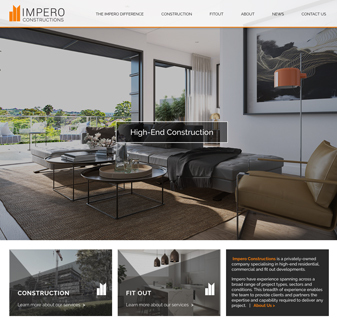 Stylish credential website for a high end construction company. A good brand and effective image are essential. Our web design team work to create not only a website but a brand for your business that speaks to your market, engages your audience & converts visitors to customers. 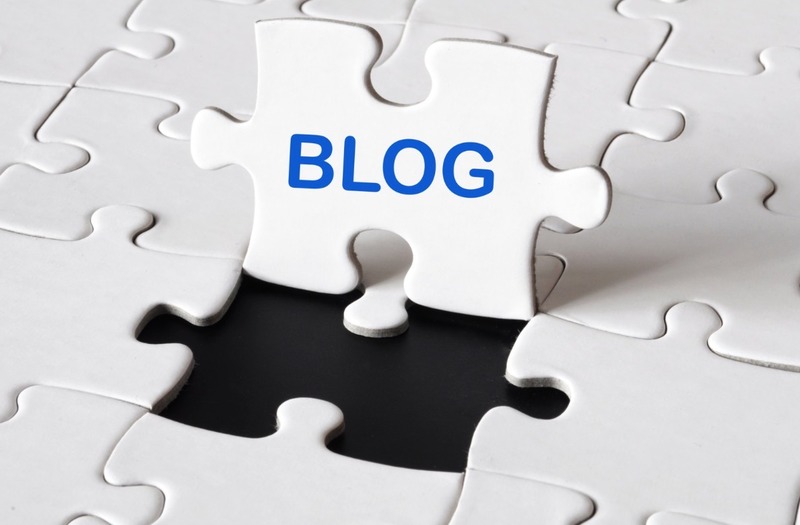 It’s essential that your website not only looks good, but that it drives sales & revenue. Our web designers are also conversion rate strategists, planning your website to work for your business. We partner with you to plan a strategy for your website that delivers the kind of results you need to succeed online. If you want to beat your competition, we can help you do this. Today’s market is a changing one, and no one solution works for every business. A tailored solution for targeted, measurable results needs to be planned, refined and constantly adjusted. Our web & SEO team partner with you as an extension of your business, guiding and advising and responding, every step of the way. We also have a team of social media marketing experts that can get your product, brand or business noticed by thousands of new online customers. We are a complete graphic design and branding agency as well. We can design brochures, Annual Reports, IPO’s, corporate stationery, posters, flyers, adverts, packaging design, basically anything that can be printed….we can design it. Hopping Mad Designs is a full service web design and digital agency in Surry Hills, Sydney with a team of passionate, creative and highly experienced website and UX designers, graphic designers, website developers, SEO specialists, content creators & digital marketers. 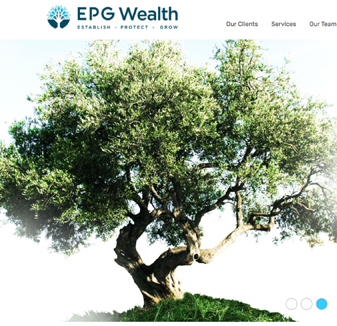 While we’ve looked after hundreds of highly successful web and graphic design projects for very unique business needs, one thing always remains; our promise to give your business and design project the same personal care, customer service, attention to detail and effort we give our own. Our aim is to use the power of the digital environment to boost your business & brand’s visibility online, to increase the number & quality of website visitors, enhance the customer experience, improve conversion rates and position your business as a market leader. We want more people to engage with your website & click, call & buy from you. If you rely on your website, Google and the internet to generate more sales leads, new business and clients then we are the perfect agency. Call 02 9360 8514 and see why so many Sydney businesses absolutely love us. Simply put, we will get more customers to click, call and buy. 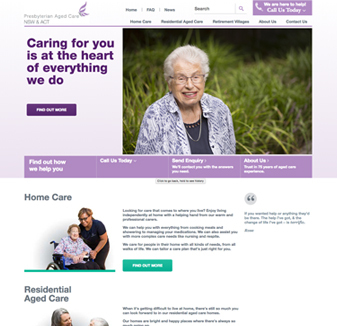 Thank you so much for all of the work you’ve put into the new website for Presbyterian Aged Care. The site is looking fantastic and is a true credit to HMD. Jo has been a pleasure to work with and I’ve always felt that she’s been driving and co-ordinating this for the best possible outcome for PAC. This has been appreciated. What Ida has done with the design, starting with PAC’s initial Brand and Style guide, looks wonderful. It’s a sleek and modern look that reflects well for PAC’s brand equity. We went from 3 bland non user friendly websites to one multi-brand site with microsites that defines our brand perfectly and is super easy to use! Hopping Mad were great to work with and really understood the direction that we wanted the site to go in. Very friendly team and they were always in constant communication with us from start to finish. And even beyond then they have helped with any issues or questions we have had since the site went live. 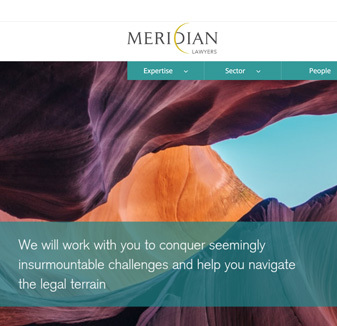 We have had great feedback about the new website, from the fantastic design to the easy to navigate user experience. I would highly recommend them, they make creating a new website easy and most of all fun! Hopping Mad were the highest organically ranked SEO and website design group on Google so I figured they knew their stuff. I asked Hopping Mad to help create a new professional business for me reflecting my particular values in what is a highly competitive Sydney market. Hopping Mad delivered. Jo and her design team did a fantastic job with the artwork – we have received countless compliments about how “fresh” and “clean” our site is. A truly pleasurable user experience. Steven has remained available, and “hands on” in his approach providing measurable outcomes and not making any promises that he can’t deliver on. There are no lock in contracts – Steven backs himself – that sold me. Choosing any service provider is fraught. I had engaged 2 other SEO website companies over the previous 5 years and they pale in comparison. Useless, doing nothing more than overpromising and under delivering. Hopping Mad stand out from the crowd. They are attentive and Sydney based and really good to deal with. We’re edging onto page one of Google and that is only in a matter of months. A lot of hard work has been involved and Steven has remained enthusiastic every step of the way. Take the leap of faith and employ these guys. I have no hesitation in recommending Steven and his team and am happy to verify this recommendation personally. Hopping Mad will really help you create your business. We came to Hopping Mad because our current site was bland and uninviting, with a fairly cumbersome e-store. Hopping Mad took on our project with a creative energy that we were immediately impressed by. Not only did they come back to us with a slew of brilliant concepts, but they were also helpful in developing and incorporating the ideas we came to them with. Throughout the development of the site, and ongoing since it has been launched, they have been attentive and supportive to our needs all with a friendly and happy attitude. As tech amateurs, they have been patient with questions. Further, as a website should be an evolving organism, they have understood this, and any additions or amendments to our site we have requested, have speedily been taken care of. We have been delighted with the service Hopping Mad has provided and continues to provide us.. and whole-heartedly would recommend them to anyone looking to develop a new website. I would like to take the opportunity to say thank you to the team at HMD. The website that has been created is amazing and I am getting great feedback from family, friends, colleagues and clients alike. It is a portal into the soul of Lux Finance and I couldn’t be happier. I will definitely recommend your company to anybody interested in website design. I didn’t think the web design experience would be so smooth or enjoyable. Hopping Mad were brilliant. They really took the time to understand my business, kept in constant contact throughout the process, stayed within my budget and came up with a design that was stunning. They then trained me on how to update and manage the website myself and have helped me with any technical queries I had. They are efficient, open communicators, and importantly, really fabulous designers. I have already recommend them to other small businesses. Will my new website work on mobile phones & tablets? Hopping Mad Web Design: Yes. We will design 3 interfaces (desktop, mobile and tablet) ensuring your website will look as good on a mobile as it does on a desktop. This responsive feature is standard with every website we design and develop. 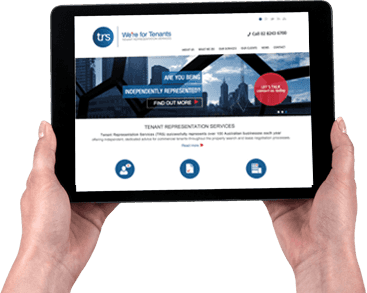 Make sure you speak with us about the SEO benefits of a responsive / mobile website. 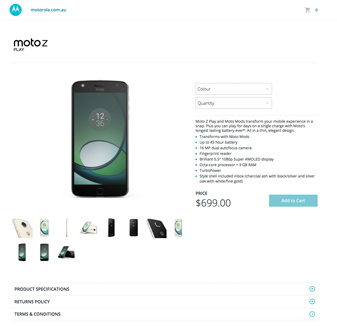 One thing to note is that never use template designs as all our websites are designed from scratch with your unique brief in mind. We don’t want your business to have the ‘same as’ look as everyone else. Remember, we are designers so our main aim is to give you that point of difference that will help you stand out online. It’s such a competitive environment online and having a stylish looking website could be the difference between you winning or loosing that new account. You would be surprised how consumers behave online and if they like what they see then they will more than likely buy from you. It’s the small nuances, the small differences in the design that really count. Plus, Google will love your website and reward it with better rankings if they can see customers are engaging with the site. So,a better designed website, giving consumers a better experience will lead to better SEO rankings. It’s a real win win! Hopping Mad Web Design Sydney: Yes! The most recent statistics indicate that an average user switches between 3 different devices on a daily basis, all featuring different screen sizes. Evidently, you can’t know which one they will use to search for your products or services, and you need a responsive website that will provide a seamless experience, no matter if they are on their smartphone, tablet, or desktop. Hopping Mad Web Design Sydney: Yes! Our talented and experienced team at Hopping Mad Designs understands the importance of a responsive design and ensures that the website we build delivers unsurpassed performance regardless of the device your visitors are using. Who chooses the web design? Hopping Mad Website Design Sydney: This depends – if you don’t have an idea in mind, our creative web design team will come up with a proposal (or two, depending on what we initially agree on). On the other hand, if you feel like you understand your business or personal brand best, feel free to communicate your design idea with us. With our experience, we will be able to provide advice on the best way to execute the idea, and maybe give pointers on how the design idea can be improved. Hopping Mad Web Design Sydney: Of course! If you already have a live website that is not performing as well as you expected, we will be more than happy to conduct a full audit and tell you which aspects require improvement. Not only can we improve the aesthetic aspect, but we will also better user experience and re-optimise it to ensure it attracts the right audience and ranks high in search results. Will I own the website once you finish creating it? Hopping Mad Web Design: Yes! Once the project is complete and the website is live, you get login information and become the official owner of the website. Yes, we do! We offer web design, development and hosting services to be able to provide an all-round product. Rest assured your website will be hosted on an Australian platform and that the security will be at the highest level. Can you set up an email for me? If you decide to host your website with us – then yes! We will set up a professional company email that will be aligned with your business name. Will you provide a domain name? Due to years of experience operating in the online world ( both web, digital & SEO), we understand the importance of choosing an ideal domain name. Our team can help you find the most appropriate and memorable one that will deliver the best results possible. Hopping Mad Design Sydney: WordPress is a content management system (CMS) used for building websites. What makes it our primary choice is its user-friendliness and the fact that anyone can learn how to use it quickly. Another benefit is its transferability – the platform is constantly updating to stay on track with the latest industry standards and newest technologies. Building a WordPress website today means you are getting a strong business tool for years to come, that anyone, anywhere in the world can use. Will I be able to use WordPress on my own in the future? Yes. Here at Hopping Mad Designs, we are also more than happy to teach you everything you need to know about WordPress and how you can utilise it for your websites maximum potential – from basics to more advanced functions, so you can be sure that you will be able to manage your website on your own. Do you insist on signing a contract? No. We are confident in the quality of our services and we know our clients will want to stay with us because of the results we deliver, not because we made them sign a piece of paper. You will receive all the login information and will be the sole owner of the website we build for you. If you decide to use our hosting services, you will be charged a small fee, but should you decide to take your website to a different provider, we will not stand in your way. Which design services do you offer? Hopping Mad Website Design Sydney: We offer a wide range of design services, from web design, logo design and brand development, to corporate brochures, digital and print advertising, banners, signs, promotional materials, digital marketing, SEO, print management and annual reports. We are at your service to complete all your design needs, no matter if you need to have a small logo illustrated or an entire brand built from scratch. We do the lot here in our Sydney based studio. Our office is located in the heart of Sydney, Surry Hills, so you can pay a visit to our office and tell us all about the graphic design, web design, SEO or marketing project you need us to complete. Do you only work with local clients? No. While our physical office is in Sydney, we provide full web design, development, and digital marketing services to our clients Australia-wide. What if I don’t have time to write my own content? Hopping Mad Web Design: If you feel like you don’t have the time to write your own content and that you would rather leave it to a professional pair of hands, at Hopping Mad Designs, we employ a team of creative content and copy writers who will provide a selling marketing copy for your website. We have experience writing copies for a variety of small businesses and enterprises in a range of industries. The final website copy we deliver will be optimised for the most relevant keywords. Can you help rank my website on Google? Yes we can. All businesses need to be found online and we can help you with your SEO. 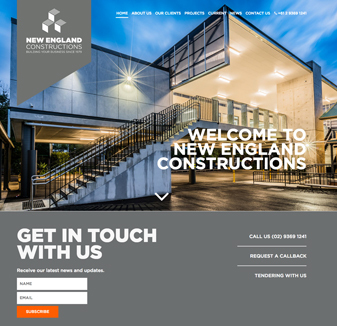 We make sure during the whole design and building phase that your website is completely Google compliant. We can then help you with your SEO campaign and any SEO services that you may need to help you drive traffic and customers to your website.